Early table, beautifully carved and with a marqueterie of poppy flowers. A delight. The legs are connected so although the table is light in weight, it is very strong. It should be light,because it is a sidetable. That is why it has handles, easy to pick up and put where ever it is needed. Is is as the French say: "In its juice"( dans son jus). Which means it hasn't been touched nor restored, just cleaned a little bit. 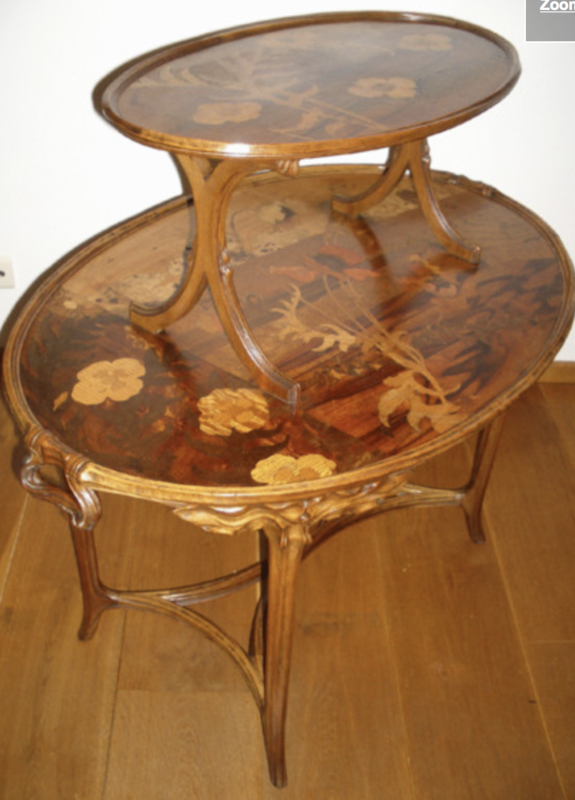 Restauration wasn't necessary as the table is still in good condition.